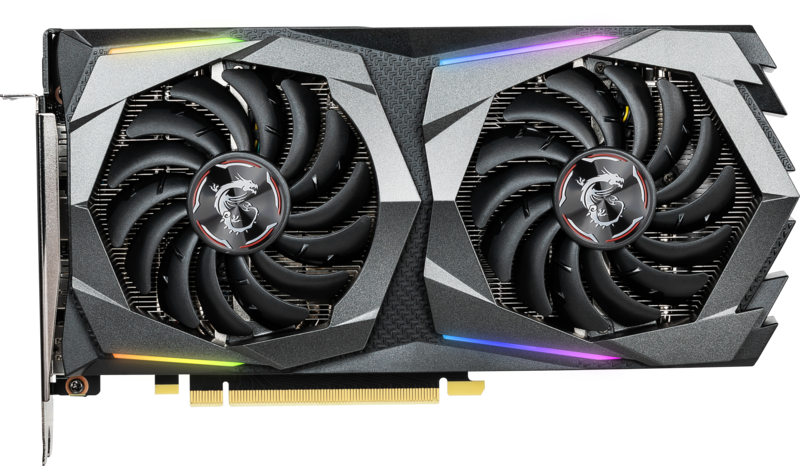 Nvidia brought its latest Turing graphics architecture to a £250-plus price point with the GeForce GTX 1660 Ti GPU. Built using a new die, said GPU felt a mite too expensive given AMD's recent price cuts on RX Vega 56 and general availability of much cheaper RX 580 cards. Today sees Nvidia bring the cost of Turing down further, to just £200, with the Ti's little brother. Let’s see what the plain GeForce GTX 1660 is all about. Nvidia trots out the TU116 die once more but makes a few important changes to introduce Turing at the more aggressive price point. Deactivating two of the GPU’s 24 SMs reduces the shaders to 1,408, whilst keeping frequencies about the same has the knock-on effect of hampering overall shading power by seven percent. No deal-breaker, of course, and perfectly understandable in the context of market positioning. With RT Core and Tensor Cores not in play in the TU116 GPU, ray tracing and AI-based workloads like DLSS aren't possible with GTX 1660 (hence GTX and not RTX); you need at least the RTX 2060 to enable these techniques in games. Nvidia, goes to town on the memory bandwidth by supplanting the relatively fast GDDR6 (12Gbps) on the Ti with bog-standard GDDR5 (8Gbps) here. Ouch! This move ensures the non-Ti card is cheaper to produce, one would assume, and it ought to be an easy transition for partners who already have plentiful GDDR5 in their inventory. Losing a bit of shading power and a fair chunk of memory bandwidth will definitely hurt the GTX 1660 as the resolution and/or image-quality settings are dialled up, though it still should be a great fit for readers rocking a 1080p monitor. The big boys of the graphics world are likely to have half-a-dozen different SKUs, separated mostly by core boost frequency and quality of heatsink. At the very premium end of the scale sits the MSI GeForce GTX 1660 Gaming X, priced at £250. MSI beefed-up its GPU cooling technology by offering a Gaming Z version on high-end 10-series and all RTX 20-series cards. Mid-range GPUs such as the GeForce GTX 1660 Ti and non-Ti don’t need such elaborate cooling, of course, so MSI adopts a pared-down cooler known as Gaming, also built on the same Twin Frozr 7 thermal design. It uses the black-and-grey colour scheme present on the best-in-class cooler but has a simpler, slimmer heatsink which enables the card to fit into a two-slot form factor. The muted aesthetic belies subtle RGB lighting placed around the twin Torx 3.0 fans that naturally switch off at low loads. See-through strips are positioned at the top and bottom of each fan’s housing, with the upper-left lending some indirect RGB pizazz to the white MSI logo on the side, all controllable by the Mystic Light software. Though made of plastic, the shroud doesn’t feel overly cheap or flimsy, matching the rest of the card’s decent build quality. Measuring 247mm long, 127mm high and 46mm thick, users shouldn’t have a problem housing it in a small-form-factor chassis. The metal backplate, meanwhile, extends past the 200mm PCB and, through a wraparound design, provides a modicum of support for the GPU heatsink that accommodates a trio of heat pipes which converge and flatten around the central nickel-plated copper block in contact with the TU116 chip. The backplate feels more for show than useful value, as it doesn’t feature any thermal pads for effective heat transfer. 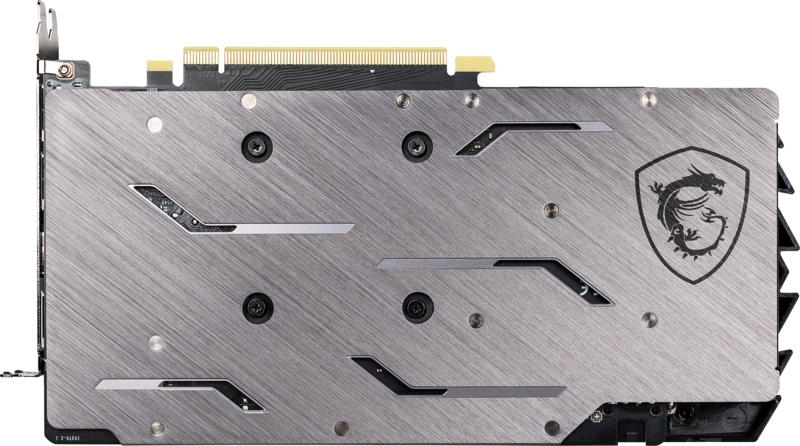 MSI also adds a die-cast metal contact plate on the top side of the PCB that covers the MOSFETs and GDDR5 memory chips. Being an X variant of the Gaming line requires MSI to overclock the core. Increasing the power budget to 130W offers a boost speed of 1,860MHz, which is 75MHz higher than stock, though do understand that in-game performance is only likely to be just a few percent faster than the slowest GTX 1660 cards because memory is left at stock speeds. The Gaming X’s I/O section comprises a trio of DisplayPort and a single HDMI, yet we do wonder if having a DVI port would have made more sense in the mass-market space the card is aimed at. Though cooling is robust – it’s good enough for a 200W GPU, in our opinion – the question arises as to whether Twin Frozr 7 technology makes sense on what is considered a mainstream GPU. The cheapest GTX 1660 cards cost £200, MSI’s own Ventus is mooted to be £230, while this Gaming X slots in at £250. 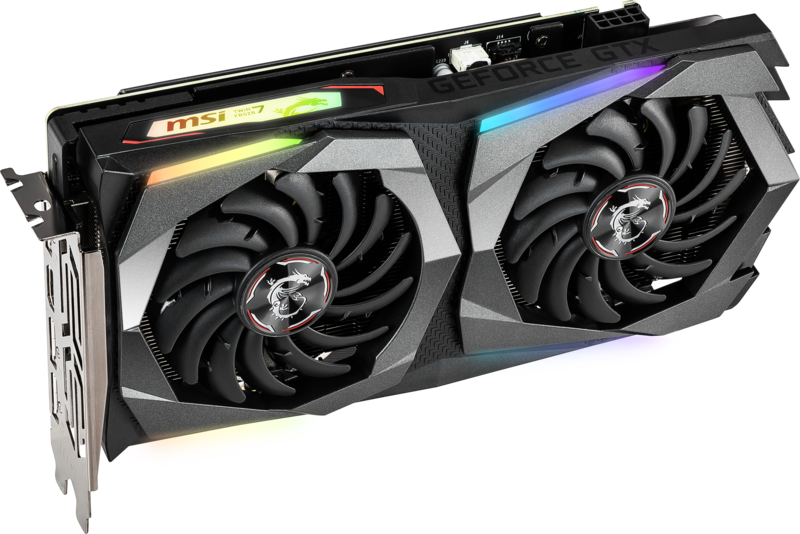 It won’t have escaped your attention that an MSI GeForce GTX 1660 Ti Ventus, reckoned to be 15-20 per cent faster, is about the same price. The benchmarks will reveal all. Finishing off on a positive note, the card is backed by a three-year warranty rather than the two years commonly found on competitor cards.